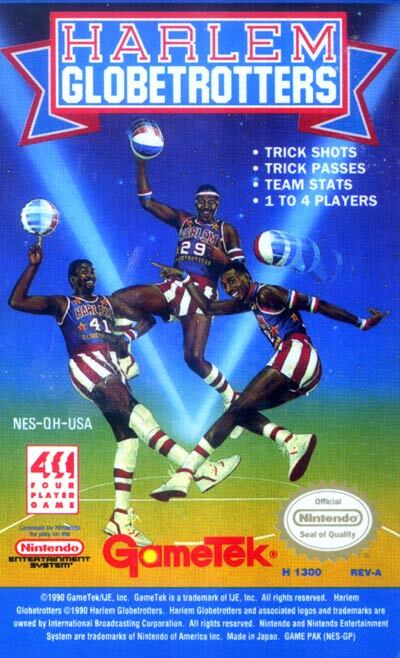 The Harlem Globetrotters is an NES sports game about a basketball team who does tricks in order to impress basketball fans. Unlike most other basketball video games, there is only an exhibition mode in this game where the player can play as either the Harlem Globetrotters or their rivals. The player can even pull down the referee's pants or trip the ref when a free throw has been called when playing as the Harlem Globetrotters. This game supports up to 4 players using the NES Satellite or Four Score accessories.